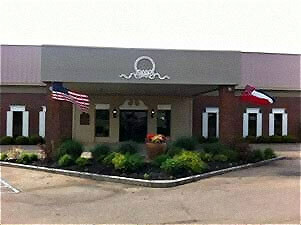 Holland Funeral Directors was organized March 1, 2004. Steve Holland, John Harris and Sadie Holland were the principals, and all had been actively engaged in funeral service at a local Service Corporation International (SCI) location. Due to corporate pressures and goals that were more materialistic than service based, the three formed what was then Holland-Harris Funeral Directors in Okolona and Tupelo. Mr. Holland has been involved in funeral service since his entrance into the profession on May 14, 1973. As a college freshman, he began working for the late Tom McGrath and Red Rasberry at McGrath-Rasberry Funeral Home in Tupelo. This youthful foray into the funeral business evolved into over four decades of passionate, compassionate service to the community. The organization became an overnight success. The Okolona facility is located in a landmark downtown corner location next door to the Chickasaw County Courthouse in an original trademark grocery store. It's 5500 square feet serves as a great chapel for this community. The Tupelo location is a fabulous 20,000 square feet former night club located on Tupelo's west side near the massive Tupelo High School and nearly adjacent to Harrisburg Baptist Church, the largest Baptist Church north of Jackson. Upon conversion to the funeral home, many locals commented that the Hollands had taken the devil's tavern and turned it into the "Lord's work." In January, 2009, Steve and his Mom, Sadie purchased all the assets of Holland Harris Funeral Directors and remain today the sole owners. While the funeral home is now known as Holland Funeral Directors, it legally retains the Holland-Harris Funeral Directors name. Holland Funeral Directors has a full line of grave markers and memorials and are affiliated with Pontotoc Monument Company of Pontotoc. We also provide cremation services with a new state-of-the-art crematory. With five licensed cremationists, we can assure you that your loved one will be handled with care, integrity and dignity throughout the entire cremation process.